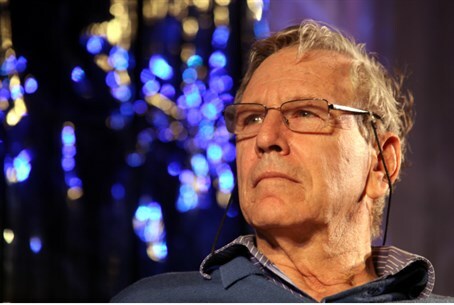 Amos Oz, leftist writer who compared 'price tag' vandals to neo-Nazis, could be arrested over his words. Sagi Kaisler, Chairman of the Shomron Residents' Committee, has filed an official police complaint with the Shomron Police District against Amos Oz Sunday over his comparison between Jewish extremists and neo-Nazis. "The words of [Oz], the writer, constitute a serious incident of incitement to racism," Kaisler stated to Channel 10 Sunday. "He deserves the Nobel Prize for Racism." "Following the precedent of Eliraz Fein, [the 22 year-old pregnant woman - ed.] who wrote similar statements in an internal mailing list for Yitzhar residents and was arrested, police cannot ignore the writer's grave incitement," he continued. "We believe he will be arrested in the coming hours." Gadi Dei, the Committee's Activities Coordinator, filed the complaint. "It seems like the police took it seriously," he noted. "According to the law, this is a serious case of incitement to racism." Oz's comments made headlines over the weekend, after he charged that the perpetrators of "price tag" attacks are equivalent to neo-Nazis - but with more political support. “I cannot stand to hear that term ‘price tag’, and even more so I can’t stand to hear the term ‘hilltop youth’,” Oz said at his 75th birthday celebration, according to Channel 2 News. Oz faced an enormous backlash, with many critics noting that 'price tag' attacks, which are a euphemism for nationalistically-motivated vandalism, only aim to hurt property - not people. The writer later defended his comments, by insisting that "neo-Nazis" and "Nazis" are not the same.